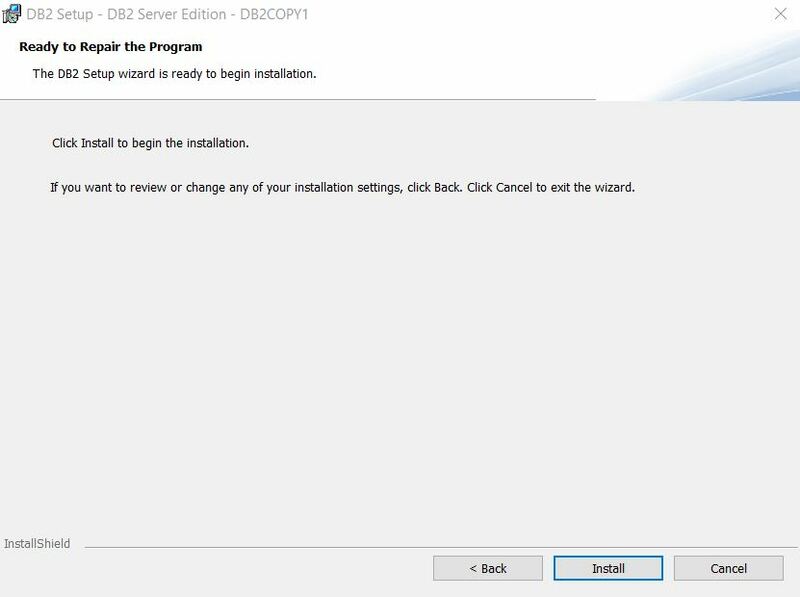 Sometimes with DB2 on Windows installs just don’t go right. 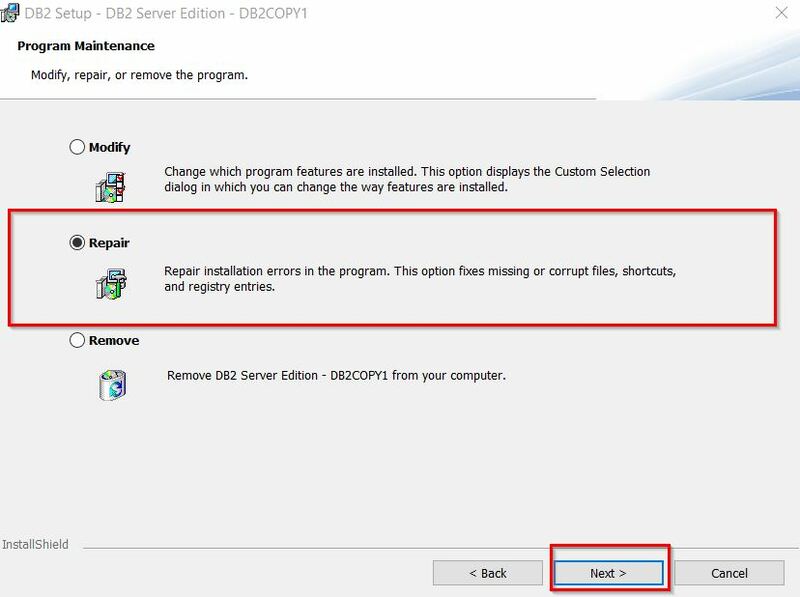 There is a repair mode on db2setup that can help. There are a number of problems that can manifest. One is a completely successful install on Windows, but the menu items just don’t show up under “all programs” on the start menu. I had run commands that should have set DB2INSTANCE already, so it wasn’t just a profile problem. 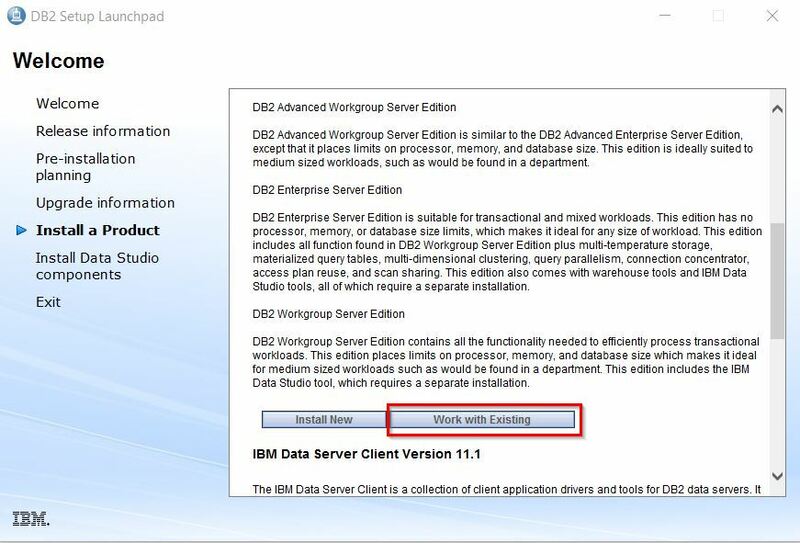 While db2val completed successfully, I still chose to do a repair option. Generally I’ve noticed that a repair operation will often require a reboot, even if the original install did not. 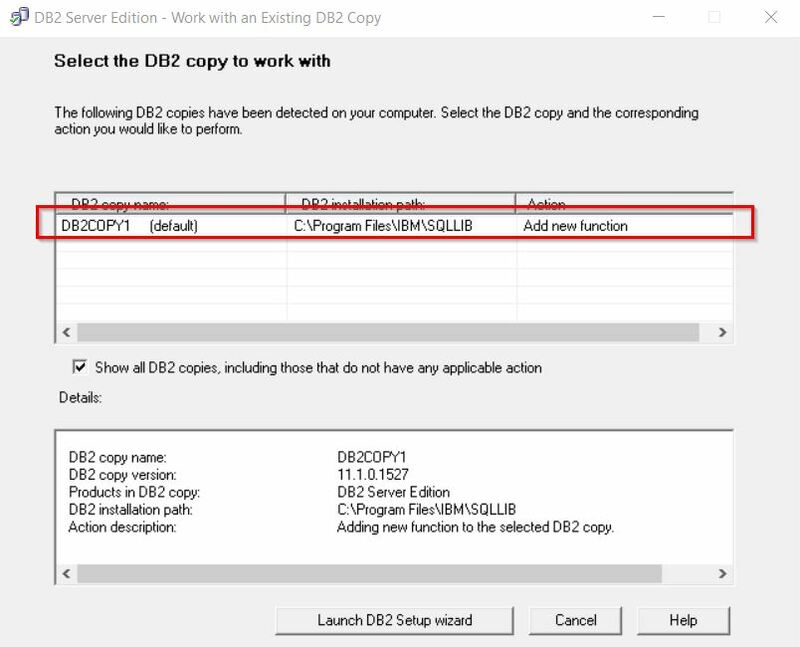 Also, note that this kind of action would require the instance to be down if you performed on a system where DB2 actually worked.